Around the World . Beaches . Nature . Activities . Family . Asia . Jordan . From the protected natural area of Wadi-Rum with its desert landforms and canyons, to the UNESCO World Heritage Sites of Petra and Quseir Amra, Jordan is a country of ancient history and contrasts, where the locals will go the extra mile to make you feel welcome. 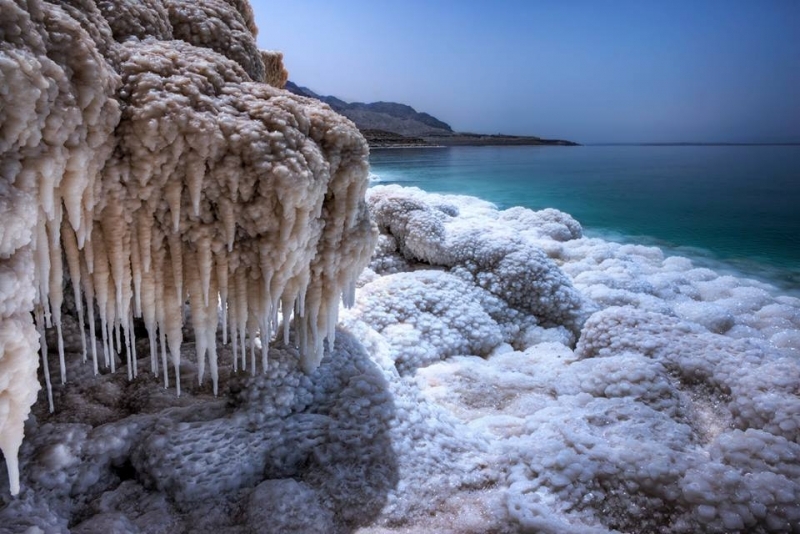 Amongst the plethora of interesting sites, the Dead Sea – in Arabic Al-Bahr al-Mayyit, is certainly one of the most peculiar for the visitors. With its 430 meters below-sea level, this lake (in spite of the name, it is actually a land-locked body of water) is the lowest land point in the planet. Its peculiarity lies in its high salinity of about 35%, or 9 times more than the ocean, making life on its shores and its waters almost impossible for animals and plants. But for you, this results in an unique experience: the possibility of floating in the water! As soon as you enter the lake, you will feel a gentle push towards the surface and without having to swim, you will be able to float on the surface. This because of the density of the water, much higher than that of the human body. 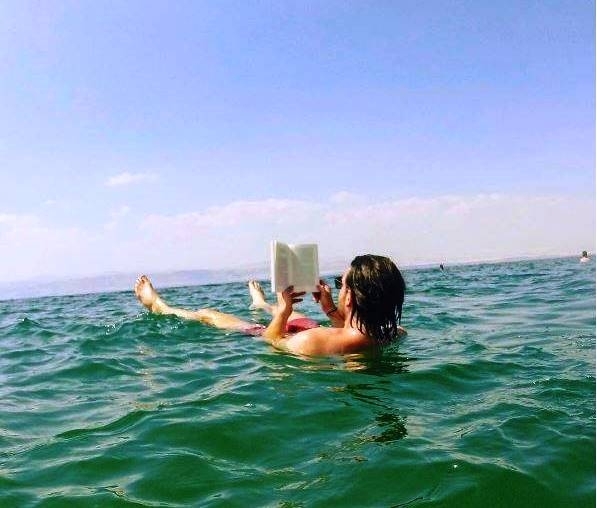 If you look around, you will see people happily sitting in the water and reading a newspaper. Even if it would make for a great picture, that’s a bit extreme, as you are not supposed to stay in the water for longer than 15 minutes (your delicate parts will itch! ), but you get the gist. On top of that, the high amounts of minerals, especially potassium, sodium and magnesium, turn the muds of the shores of the Dead Sea into a precious source of help for both health and beauty care. So before getting in the water, enjoy a full-body mud mask, it’s free! 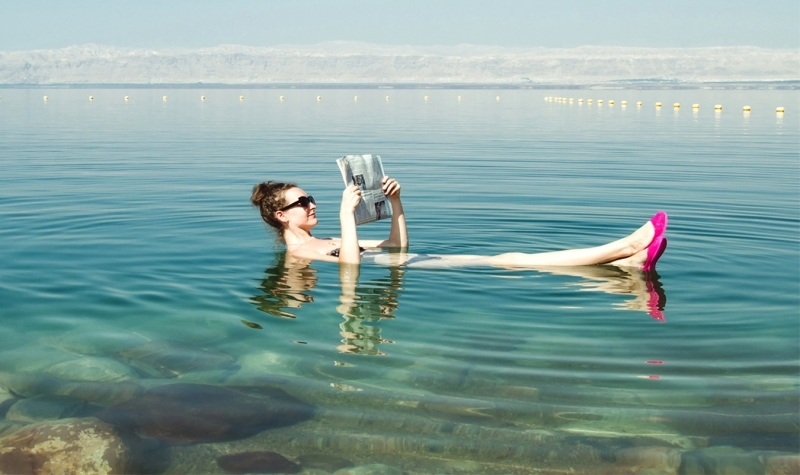 The Dead Sea in Jordan is one of the most beautiful beaches in the world that you must pay a visit through one of our Jordan Tour Packages!